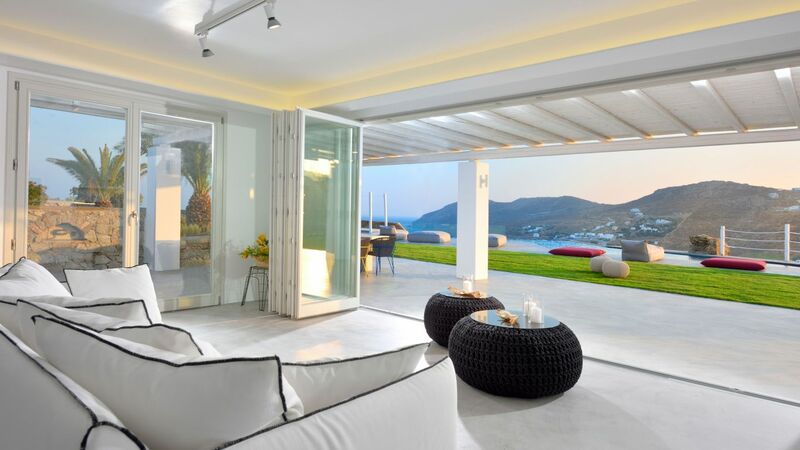 Mykonos is known for its pristine beaches, aquamarine waters, and bright white buildings – as well as its parties. It is the ultimate vacation destination for those looking to spend their days lounging on the beach or partying in any one of its amazing bars and clubs. But aside from partying and relaxing by the ocean, what else can you do in Mykonos? You can eat. The island’s restaurants enjoy access to some of the freshest, most delicious ingredients in the world, and have each have their own unique menus. Some have stuck closely to traditional Greek recipes, while others have tried to meld together various international cuisines. We have comprised a list of the top five restaurants you absolutely must try. Each of of these high-end eateries will charm your taste buds and undoubtedly enhance your vacation experience. Situated in Bill and Coo Suites and Lodging, this gourmet restaurant promises an unforgettable culinary experience. The menu features Mediterranean-inspired dishes that diners can enjoy while watching the sun set over the ocean. At Buddha Bar, guests are met with a breathtaking view of the Aegean Sea as they enjoy elegantly plated dishes that combine Eastern and Western flavors. Customers can expect both quality meals and wonderful service. M-eating puts a modern spin on traditional Greek cuisine. 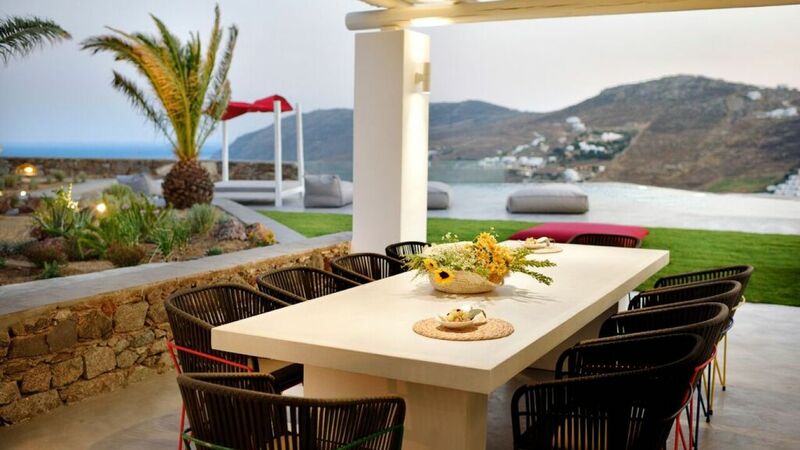 Don’t be fooled by its quaint appearance, as the restaurant boasts some of the most highly reviewed dishes in Mykonos. This charming restaurant will blow you away with its modern take on Greek recipes. Guests can see the stars as they dine on Uno Con Carne’s diverse menu, which features Aegean seafood and Argentinian style meats. The restaurant has a chic, beachy vibe that is incredibly inviting. This is definitely the place for both meat and seafood lovers. Kiku is located within the Cavo Tagoo Hotel, where it overlooks both the pool and the Aegean Sea. Its interior is the perfect mix of both Myconian and Japanese design, and its menu features the best of Japanese flavors. 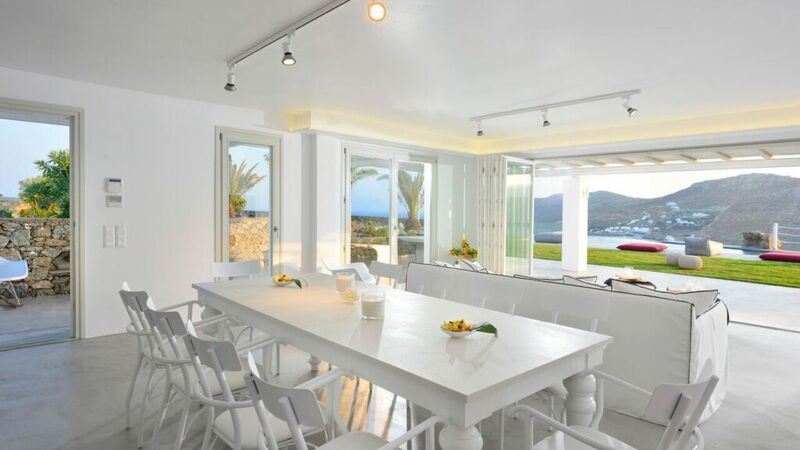 With 14 bedrooms and 14 bathrooms, our featured property, [Villa Cheyenne](http://lvhglobal/com/mykonos/rent/villa-cheyenne), is perfectly suited for large families and groups. Amenities include a fully equipped kitchen, a Jacuzzi, and a large outdoor dining area with a bar and barbecue. The villa is located on an expansive property surrounded by beautiful flowers and greenery. 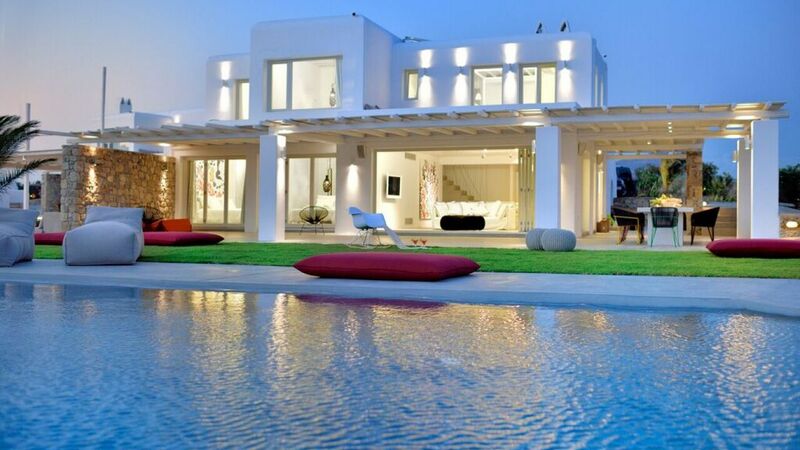 The highlight of this magnificent villa is its breathtaking sea views. For more information, press the button below. Don’t miss out on all that Mykonos has to offer! 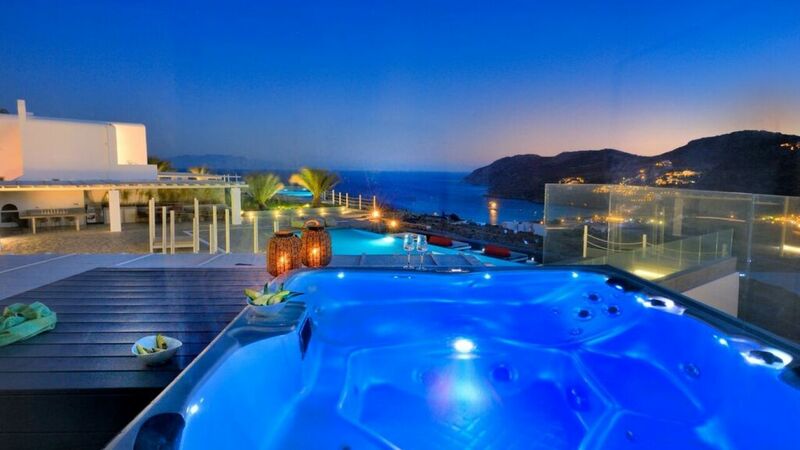 Consider booking your next Grecian vacation with LVH Global. 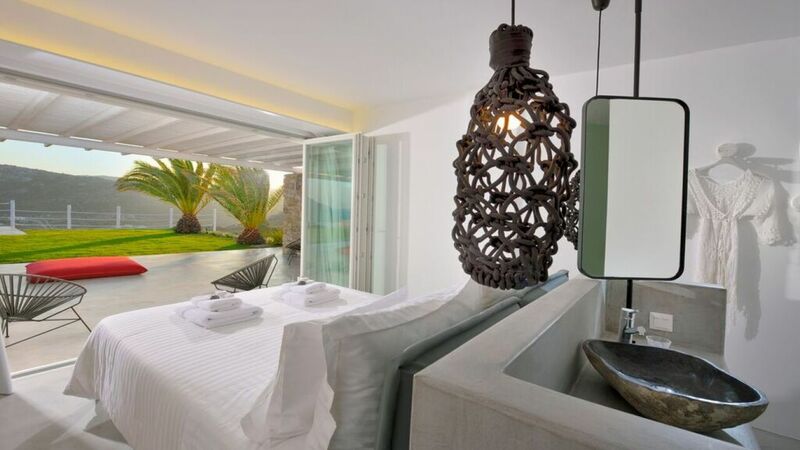 Click below to view our wide variety of luxury properties available for rent in Mykonos.